Jaded Blossom: Happy St. Patrick's Day! Hello everyone! This is Cassandra from Creating with Color by Cassandra. And today, I thought I would get you all ready for St. Patrick's Day with this fun little trio. Each one of these were super quick and easy to make and would be easy to mass produce in no time for your child's classmates or even maybe your co-workers. Fun! Fun! For the golden treat on the left, I used the Jaded Blossom ~ Dainty Topper Die. The clover is from the Jaded Blossom ~ St. Patrick's Day Dies. And the sentiment is from the Jaded Blossom ~ Lucky Treats. For the simple little treat on the right, I used the Jaded Blossom ~ Mini Tag Dies 2. 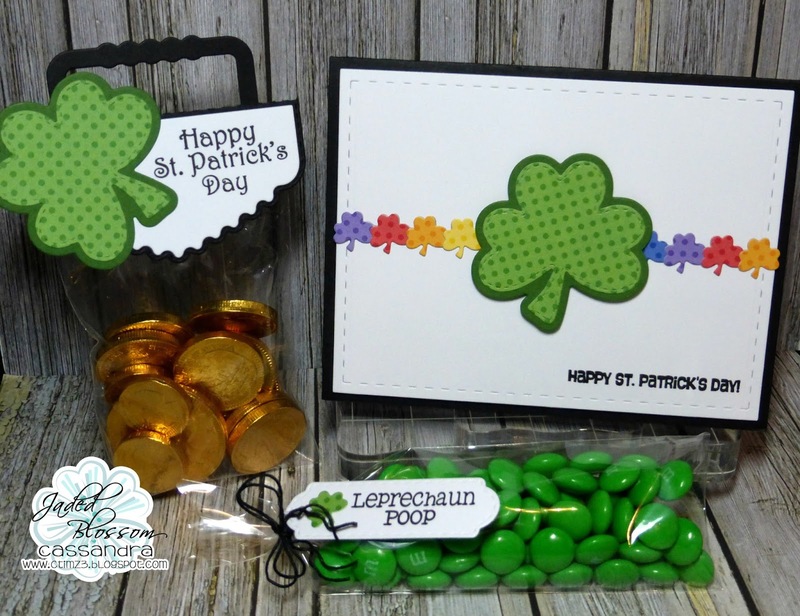 And the sentiment and clover are from the same sets as the treat on the left. Ok, you know I just had to include my rainbow. Hee! This is a super simple card, but I just love it. 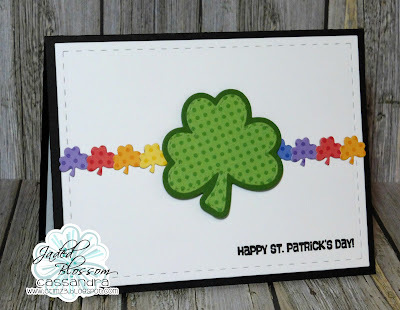 The background is cut with the Jaded Blossom ~ Card Mat Dies. And clovers are from the Jaded Blossom ~ St. Patrick's Day Dies. And the sentiment is from the Jaded Blossom ~ Lucky Treats. Fabulous trio set! 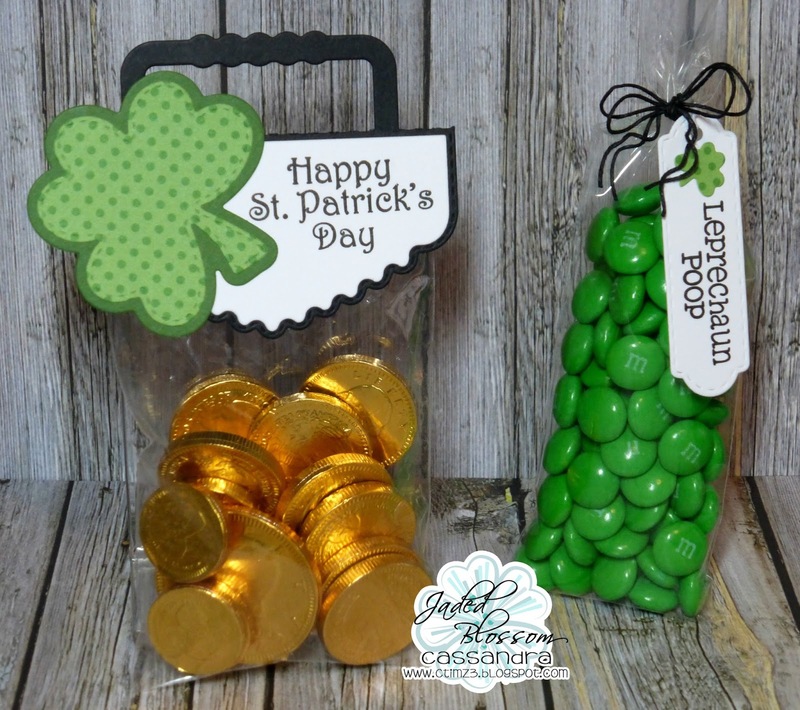 Fun idea's for St Patrick's Day!